"IT'S probably the hardest, scariest thing you've ever done in your life," Dan Willersdorf says. He is talking about walking along a 10cm-wide line, 70m above a valley. The NewsMail last caught up with Mr Willersdorf and his friend Michael Latter as they began a small club for their new hobby, slacklining, in the Bundaberg region. Now they have decided to take the adrenalin rush to a whole new level. 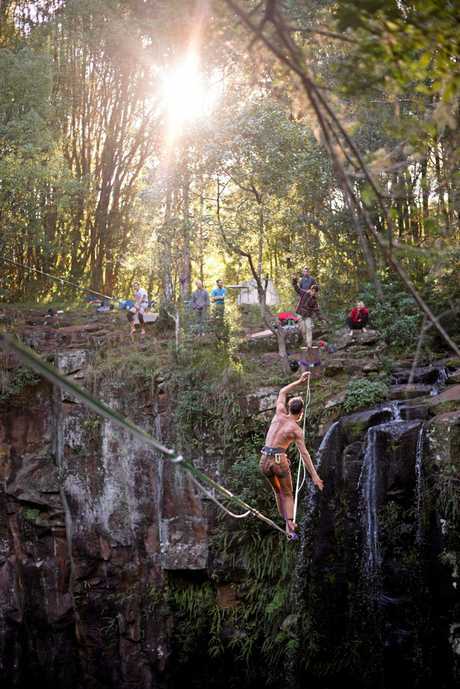 "Highlining", as the name suggests, involves walking on a slackline at great heights. 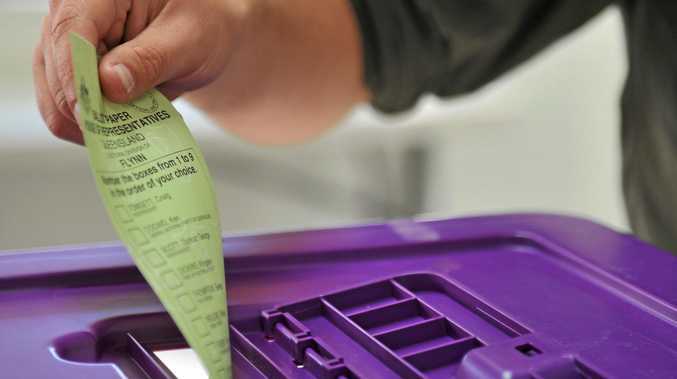 Popular in Europe and the US, it is still only in its infancy in Australia. 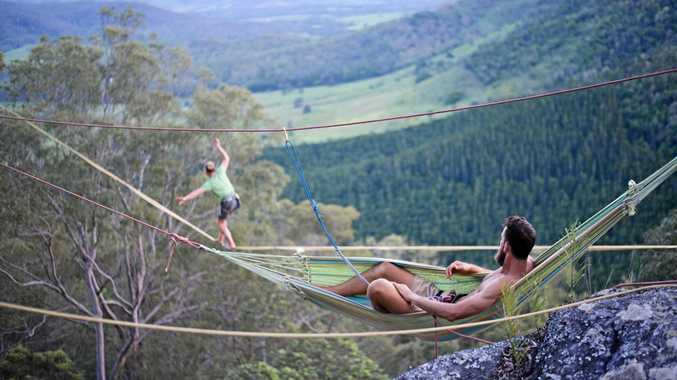 The pair travelled to the Blue Mountains Highlining Festival and have put their skills on the line at various picturesque locations around Queensland as well as the Flinders Ranges in South Australia. It was terrifying, Mr Willersdorf said, despite "your brain telling you everything is safe - everything is backed up in your equipment". "With nothing beneath you... it's sensory overload." He applied his experience in a previous job in a mine vertical rescue crew in Mt Isa to highlining safety. Setting up each line, with two lines each double and tripled checked, was time consuming, he said. Mr Latter, who photographs their adventures, described highlining as "addictive". "You start doing something small and you realise you can do that, and so you start doing something bigger and bigger." Next weekend the pair will venture to Mt Barney near Brisbane. "That will be 300m," Mr Latter said. "Even the really good guys who do 100m (long) lines are never satisfied. "There's always something on the horizon you can achieve." Mr Willersdorf is completing a slackline certification course this weekend so he can teach in his spare time. "It has brought a lot of fun to my life so I want to share that with others."